This is one of the Holy Sonnets &, as ever with Donne, reading this poem is a physical, almost breathless experience. Look at the verbs he uses - batter, knock, break, bend, divorce, break, imprison, ravish. Donne's relationship with God was not a polite, distant one, it was very physical & immediate. I watched a documentary a few months ago about Donne. It was presented by Simon Schama & Fiona Shaw read the poetry. Her reading of this poem was a highlight. Hesperus Press - Uncover a Classic - winner announced! 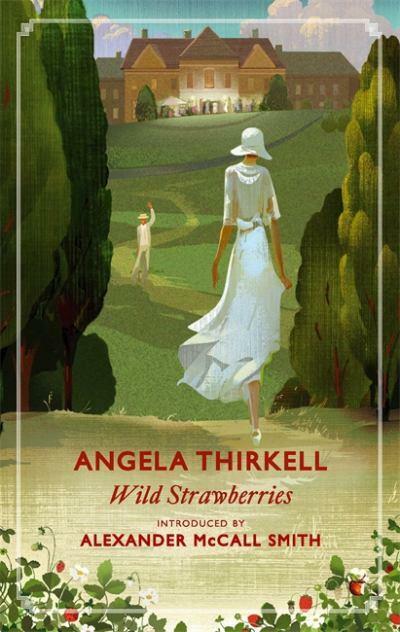 You might remember earlier this year that Hesperus Press ran a competition to find a lost classic to add to their very distinguished list to celebrate their 10th anniversary. 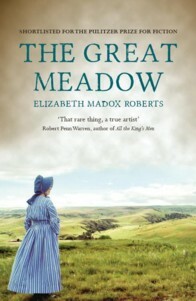 The winning book has been announced & it's The Great Meadow by Elizabeth Madox Roberts. 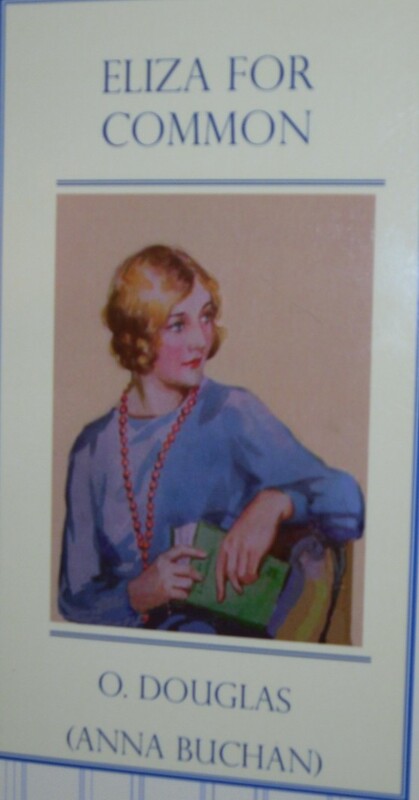 Roberts isn't an author I've heard of but she was very well regarded in the first half of the 20th century. The Great Meadow was published in 1930 & was shortlisted for the Pulitzer Prize. Roberts was born in 1881 & her work has been compared to that of Willa Cather, William Faulkner & Robert Penn Warren. She enrolled at the University of Chicago in her 30s to pursue her love of literature & her best-known work tells the stories of the Kentucky mountain people. The Great Meadow is a historical novel set in the early days of the settlement of Kentucky. It's the story of a young couple leaving their families in Virginia to make the long journey to settle in Kentucky. Michael Wynne, who entered The Great Meadow in the competition, has written an Introduction that will be included in this new edition. I'm looking forward to reading The Great Meadow & I hope to have a chance to do so before it's published at the end of October. I love this poem. It's in the tradition of the humorous seduction poem. A young man is trying to get his beloved into bed. Andrew Marvell's To His Coy Mistress is probably the best known example. 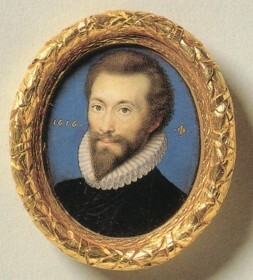 Donne uses the metaphysical conceit of the flea mingling the blood of the lovers. If there's no shame in the flea combining their blood in its body, then how can there be any shame in two people making love? Even when the young woman kills the flea, the poet has the last word - of course! And this, alas! is more than we would do. I love taking part in group reads. 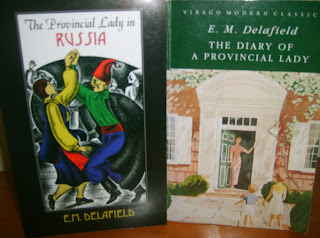 I belong to a Yahoo 19th century book group which has been responsible for introducing me to some wonderful books by authors I'd never heard of like Allen Raine & Elinore Pruitt Stewart to name just two. I'm also a member of another online group & among much book talk & talk of every kind on topics from marmalade to hats, we occasionally decide to read a Victorian novel in instalments. As Barnaby Rudge is my last unread Dickens novel, I suggested we read it after some of us had enjoyed Martin Chuzzlewit earlier in the year. I drew up the schedule (about 60pp a week) & started with the best intentions. Well, you know what they say about good intentions! Two weeks in & I'm already half way through. I'm loving it. How could I ever have thought this book would be boring & stodgy? It's the title. 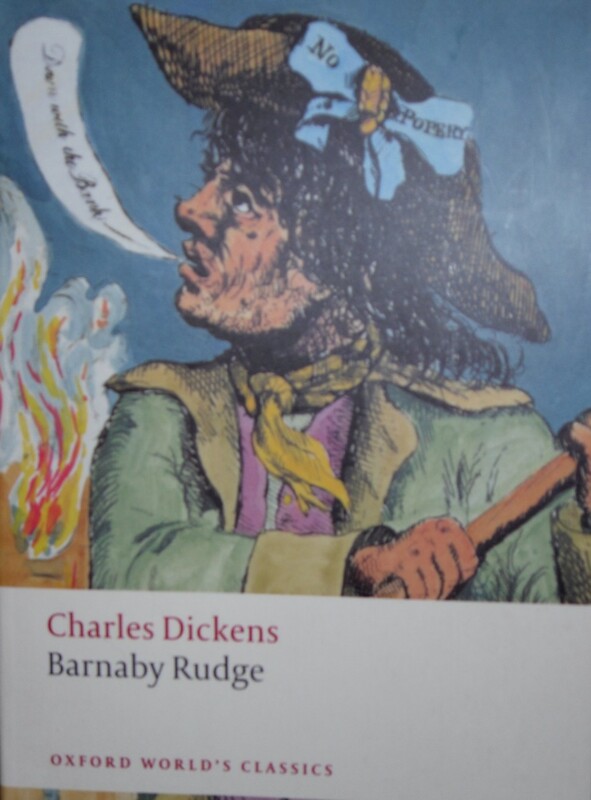 Barnaby Rudge sounds very dull, reminds me of stodge & grunge. It's true that titles have a great influence on whether or not we pick up a book. Anyway, I'm racing through Barnaby, probably because I know nothing about the plot so I'm eager to know what happens next. Stopping at the end of an instalment just wasn't going to happen. The first half is very melodramatic - two unsolved murders, a woman tormented by a figure from her past, star-crossed lovers, one Catholic & one Protestant, a young man running off to join the Army & Grip the raven, my favourite character. Grip was based on a pet raven that Dickens owned & he's wonderful. I'm sure he's taking notice of everything that goes on & will have a key role to play at the end. We're just getting in to the political part of the plot now with the Gordon anti-Catholic riots on the horizon. So, I haven't finished a book this week & instead of a review, I thought I'd share a few recent purchases (I don't know how these books appear on the doorstep. They just creep in, one or two at a time...) & some reprints to look forward to over the next few months. 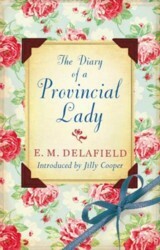 I already have a copy of E M Delafield's Diary of a Provincial Lady. It's one of my favourite books & I always remember laughing all the way through the first time I read it. I couldn't resist this remaindered copy with the Cath Kidston cover & an Introduction by Jilly Cooper. 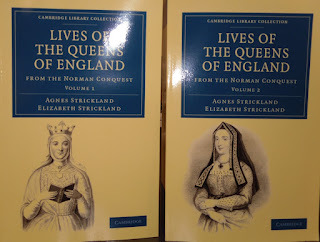 I got my tax refund a couple of weeks ago so I treated myself to the first two volumes of Agnes & Elizabeth Strickland's Lives of the Queens of England. I've always wanted to read these & Cambridge University Press have brought them back into print as part of their POD Cambridge Library Collection. 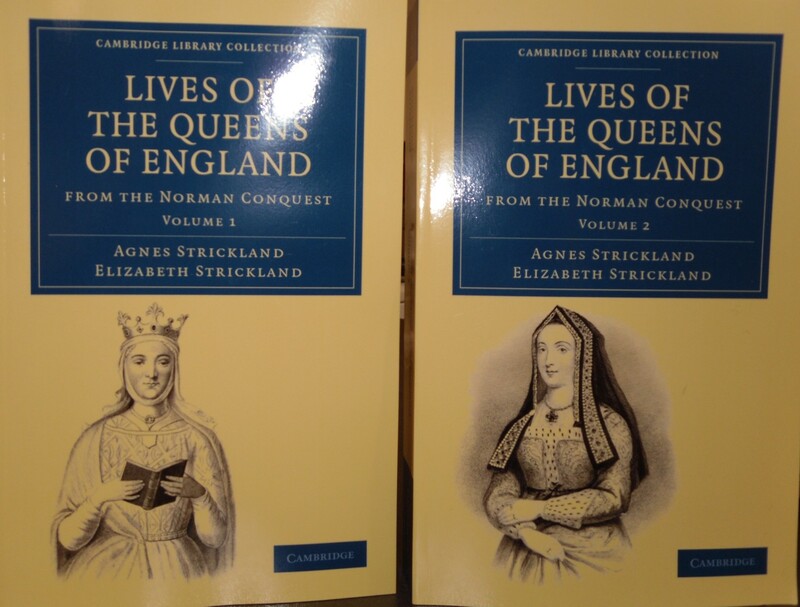 They're not cheap but they're substantial books (over 600pp each) & these two volumes from Matilda of Flanders to Anne Boleyn are the lives I've always wanted to read. 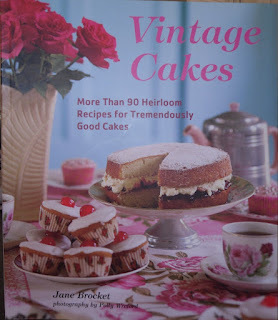 Then, a book I preordered some time ago arrived, Vintage Cakes by Jane Brocket. I love baking cakes & this book is lovely. Vintage recipes with gorgeous retro photography. I can't wait to sit down with a cup of tea & plan which cake, slice or biscuit to try first. 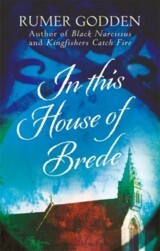 as well as three of the Goddens, In This House of Brede (my favourite of her books. 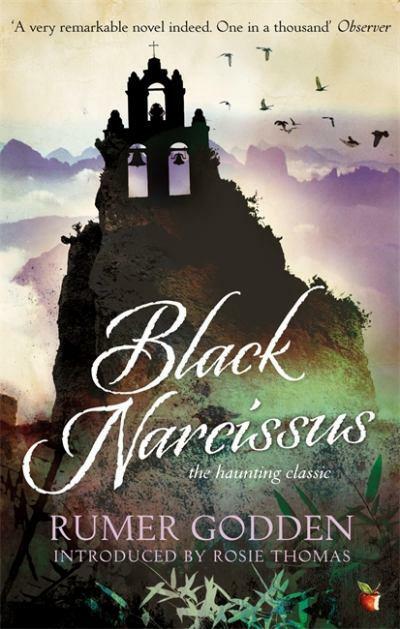 Even though I already own a copy, I couldn't resist this cover), Black Narcissus (more nuns, I'm fascinated by them) & China Court (have to read this after reading Leaves & Pages' review of A Fugue in Time here. 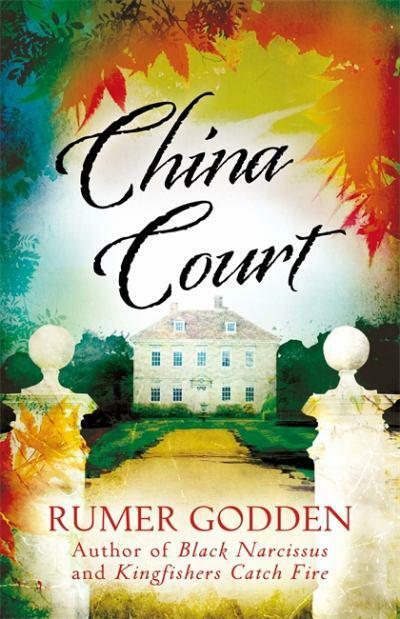 I have Fugue on the tbr shelves so should really read it before China Court arrives). More beautiful cover art. 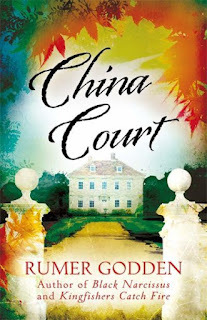 How wonderful to have Rumer Godden back in print. 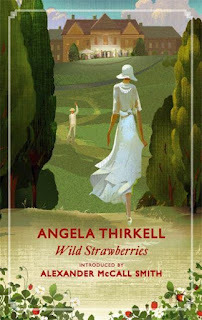 I've only read a couple of Thirkells but I know her Barsetshire series is much loved, by The Captive Reader among others. Lots to look forward to. 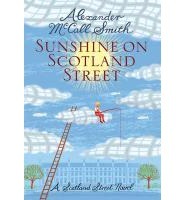 Another instalment in Alexander McCall Smith's Scotland Street series is always a treat. Sunshine on Scotland Street begins with the wedding of Angus & Domenica which almost doesn't happen as Angus has forgotten to buy a ring & discovers a hole in his kilt. Luckily Matthew is Angus's best man & he saves the day. But even Matthew is taken aback when, at the crucial moment in the ceremony when the minister asks if anyone has any just cause why the couple should not be lawfully joined together, a cry is heard in the church. Matthew, Elspeth & their triplets look set for stardom (on Danish television at least) when film maker Bo, a friend of their invaluable au pair Anna, wants to make a fly on the wall documentary of their life. The star of the doco, however, turns out to be Big Lou, whose supporting role goes viral on the internet. Long suffering Bertie Pollock is thrilled when Angus asks him to look after his dog, Cyril, while he & Domenica go on their honeymoon. Bertie's mother, Irene, is less pleased & poor Cyril is soon confused & miserable trying to stick to Irene's unreasonable rules about suitable behaviour for dogs. Irene hasn't changed at all, although she is taking up more & more of Bertie's appointment time with his new psychoanalyst, Dr St Clair. Bertie's father, Stuart, may finally be about to assert himself when he starts researching DNA testing websites after he finally starts wondering about baby Ulysses's parentage. Self-absorbed Bruce is taken aback to discover that his new neighbour looks exactly like him. Bruce finds himself on the back foot as Jonathan takes charge & convinces him to swap lives. Bruce feels compelled to agree, almost against his will, & starts wondering if Jonathan has some sinister motive in mind. As always, Scotland Street is a comfortingly familiar place to visit. A few of the storylines are left unresolved. Pat Macgregor has lunch with her father & just as he's about to tell her something momentous, the chapter ends & we never return to them. Bertie & Stuart have plans to go fishing but when Stuart's car goes missing (not to Glasgow this time), their plans are scuppered. We never do find out if Bertie goes fishing. Angus & Domenica are on honeymoon in Jamaica (thanks to Domenica as Angus hadn't planned anything) for the whole novel, only returning to give their first party as a married couple at the end of the book, complete with one of Angus's poems. Sunshine on Scotland Street is a lovely way to spend a few hours. Nothing too bad ever happens to anyone, not even Bruce or Irene, & it's fun to catch up with everyone else. The Resurrection of Richard III? The discovery of a skeleton which could be the remains of Richard III (picture from here) is incredibly exciting. A team of archaeologists from the University of Leicester conducted a dig in a Council car park which was thought to be the site of the Greyfriars church where Richard's body was buried after the Battle of Bosworth in August 1485. Amazingly, the archaeologists found not only the church but the choir where Richard was said to have been buried. Then, they found a male skeleton with wounds to the head & scoliosis of the spine. It's almost too good to be true. DNA testing will be carried out as a descendant of Richard's sister, Anne, has been traced thanks to the research of historian John Ashdown-Hill. 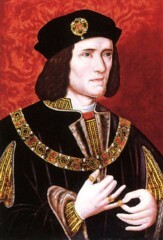 The Richard III Society has been instrumental in making the dig a reality with members carrying out extensive research & convincing the University team that there was enough evidence to prove or disprove the stories about the Greyfriars church which was destroyed during the Dissolution of the Monasteries in the 1530s. The Richard III Society website has a very informative article on the news here (click on What's New & scroll down a little for the press release). There's also news of a Channel 4 documentary to be shown later this year. Fingers crossed it's shown here as well. 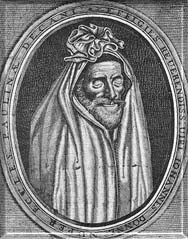 Richard is one of the few Kings of England whose burial site is unknown (not counting Edward V which is another story altogether!) but maybe this discovery will change that. More information on the discovery & links to other articles can be found here. I've been fascinated by Richard since I first read Josephine Tey's novel, The Daughter of Time, at high school. I'm a member of the Richard III Society & I've read countless books, both fiction & non-fiction, on the period & the personalities. I can't wait for the next instalment! Another of my favourite poems, A Valediction : forbidding mourning. I love the imagery of the twin compasses, probably the most famous metaphysical image in all Donne's poetry, & the "gold to aery thinness beat". I may never come to the end of my favourite Donne poems. Well, this is a picture I thought I'd never see. Both cats sat on my lap (well, Lucky was on my lap, Phoebe was wedged between me & the arm of the chair) for over an hour the other night. Eventually I had to get up & when I looked round, they'd settled themselves like this & they both went back to sleep. Lucky still looks a little wary but this is the closest they've been since they arrived. 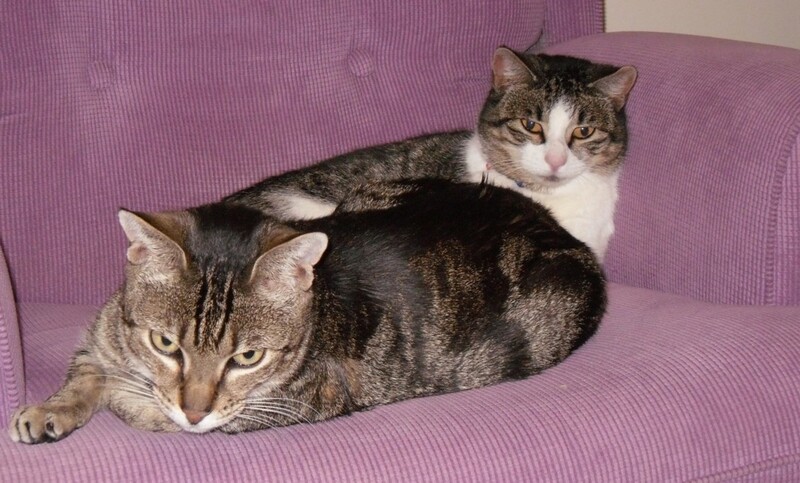 Unless, of course, they spend every afternoon curled up together on the couch while I'm at work which is unlikely. I don't think it's love, I just think neither wanted to give up the warm chair. Wonders will never cease! This is just the kind of book I love. Michael Slater is one of the foremost Dickens scholars in the world. His biography of Dickens was published a few years ago & I loved it. 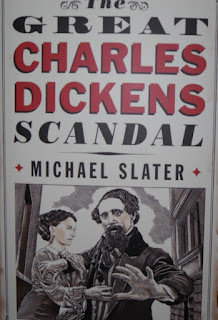 Slater brought something new to the life of Dickens by focusing on the journalism &, in so doing, broadened our idea of Dickens as a writer & a professional journalist & editor. This new book has a rather sensational title & vaudevillian cover but the content is serious, well-reasoned & very unsensational in its conclusions. The great scandal of Dickens's life was the breakdown of his marriage to Catherine. They had been married over 20 years, they had 10 children & Dickens's image as a family man was a major part of his public persona. In 1858, Dickens separated from Catherine in a sudden & very cruel manner. He took all but one of the children to live with him & he never saw Catherine again. Dickens had met a young actress, Ellen Ternan, known as Nelly, while performing in a charity production of Wilkie Collins's play, The Frozen Deep. Nelly was 17, Dickens was 45. He was immediately infatuated & seemed to see in Nelly all the qualities of innocence, beauty & purity that he had so admired in other young women in his past life & that he portrayed in many of his heroines in his fiction. Dickens had had two experiences in his youth that had influenced him ever after. His first love was a young woman called Maria Beadnell. He was poor & unknown; she was capricious & her parents didn't encourage her relationship with Dickens. She rejected him & he never forgot her. Then, after his marriage to Catherine Hogarth, her sister Mary came to live with the couple. Her sudden death one night after an evening at the theatre, shocked Dickens profoundly. He never forgot Mary & she became an idealized figure in his imagination. Catherine, meanwhile, must have found it difficult to live up to these ethereal images of womanhood. She seems to have been a kind, loving, not very intelligent woman who was almost constantly pregnant & gradually putting on weight with every year. She must have found it difficult to keep up with her dynamo of a husband with his restlessness & his great capacity for work. Dickens was the superstar of the age & news of the breakdown of his marriage caused a tremendous scandal. When the scandal broke, Dickens took steps to try to contain the story. He allowed his close associate, W H Wills, to circulate the contents of a letter which detailed his unhappiness in his marriage & complained that he & Catherine had never been suited to each other & had never been happy. His vague comments about a young lady whose name has been coupled with his but who was as innocent & pure as his own daughters only fanned the flames of rumour. Most people seemed to believe that he was having an affair with Catherine's sister, Georgina, who had lived with the family for years & had helped Catherine look after the household. Dickens's warm comments about Georgina in the letter only encouraged this idea. Dickens then made the mistake of publishing an Personal Statement in The Times which only excited more gossip. The Statement vehemently denied the rumours without spelling them out so the many people who didn't know about the scandal yet were mystified & eager to find out what it all meant. In these last twelve years of Dickens's life, he hid his relationship with Nelly so effectively that there is very little documentary proof of where they lived, if they lived together, how often they met. Scraps of evidence have come to light, including rate notices that show that Dickens paid the rates on a house in Slough where Nelly lived with her mother. He used several false names, including Charles Tringham. Nelly seems to have spent time in France & it was rumoured that she had a child there, who died young. Nelly & her mother were with Dickens on the train that crashed at Staplehurst in 1865. Dickens covered his tracks there as well & Nelly's name was never mentioned in all the publicity about Dickens's work on that day as he helped the wounded & comforted the dying. Nelly spent the rest of her life hiding her relationship from Dickens. She married & had children but they knew nothing about their mother's relationship with Dickens until after her death. 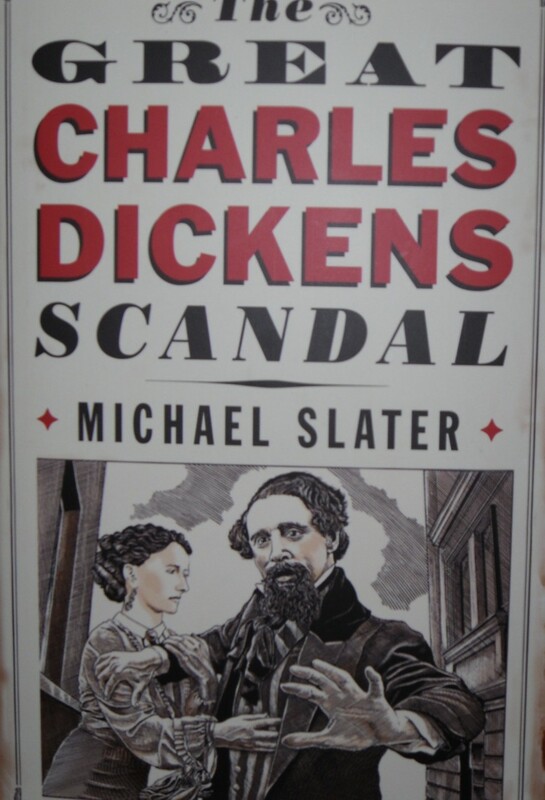 Slater's book really takes up the story after Dickens's death with the attempts by scholars & biographers to discover the truth about Nelly. Dickens's first biographer, John Forster, was a close friend &, although he certainly knew the truth, he did not reveal it in the book. Biographers were circumspect while Dickens's children were alive. But, after the last survivors, Kate & Henry died in the 1930s, the revelations began to be published. 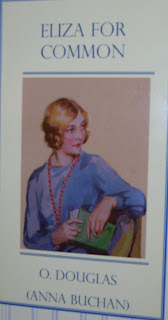 Kate had spoken to Gladys Storey, who published a book, Dickens & Daughter, which told the story of the child who died. Sir Henry Dickens & the Dickens Fellowship effectively stymied other writers by refusing permission to quote from family letters but the books & articles kept coming & the speculation about the relationship ranged from it being a chaste relationship to a torrid affair complete with scenes of anguish & torment. Slater explores the gradual drip of information & speculation that reached its climax in 1990 with the publication of Claire Tomalin's wonderful book, The Invisible Woman, which brought Nelly out from the shadows of the Dickens story. Tomalin's book brought together all that was known about the affair & her interpretation of the facts where there was no hard evidence. The Great Charles Dickens Scandal is an absorbing account of the lengths Dickens & his family went to to hide Nelly & the equal lengths researchers went to after his death to find out about her. We probably know all there is to know now unless something sensational turns up like Dickens's letters to or from Nelly or the birth certificate of the child that may have been born to them. Dickens destroyed so many letters & documents that it's hard to believe that there's anything left to find but a letter about his separation from Catherine was discovered just the other day so anything is possible. In this Dickens Bicentennial Year, this witty, intelligent, well-reasoned book should not be missed. This is another of the religious poems Donne wrote when he was Dean of St Paul's. Good Friday, 1613. Riding Westwards. I like the idea of Donne riding somewhere on such a significant day, thinking about the day & Christ on the Cross. By God for His apparel, ragg'd and torn? Half of that sacrifice which ransom'd us? Helen Stanley is a kind, beautiful, good girl. Brought up by her uncle, Dean Stanley, she was destined to be a great heiress. Unfortunately when her uncle died, she discovered that he had been extravagant & she was left with nothing but a small income from her mother & a lot of the Dean's debts. She commits herself to paying those debts & restricts herself to as little income as possible to do this. Helen is invited to live with her greatest friend, Lady Cecilia Davenant, now married to General Clarendon. The General is a quiet, sober, intensely moral man who has declared that he could never marry a woman who had loved before. Although Helen is apprehensive about committing herself to live with the Clarendons, she & the General soon become good friends. Cecilia's mother, Lady Davenant, regards Helen as another daughter & admires her principled stand over her uncle's debts. Cecilia is overjoyed to have Helen with her but Cecilia has secrets & a tendency to tell white lies that will soon disrupt Helen's life. The first fib isn't so bad. General Clarendon's ward, Granville Beauclerc, is coming to stay at Clarendon Park. Cecilia has teased Helen with the idea of the two of them making a match & to stop Helen feeling self-conscious, tells her that Granville is practically engaged to another. Helen is therefore perfectly natural & charming with Granville & he soon falls in love with her. Helen is confused about her own feelings & disapproves of Granville pursuing her when he's supposed to be engaged, so blows hot & cold in confusion so that Granville thinks her capricious & flighty. Cecilia eventually sorts out this mistake & the couple become engaged. Cecilia's next web of lies is much more serious. When Cecilia, Helen & Lady Davenant were in Florence some years before, Cecilia had fallen in love with an adventurer, Colonel D'Aubigny, & had written him very indiscreet letters. Knowing the General's strictures about first love, Cecilia had been too afraid to admit her feelings for D'Aubigny. After D'Aubigny's death, the letters are sent to the General by an ill-wisher. Cecilia is terrified & implores Helen to accept the packet of letters without actually admitting that she had written them. Helen agrees, although she has considerable misgivings, & soon she is an object of gossip in Society, she has lost the General's good opinion & has ruined her prospects of happiness with Granville. Elizabeth Gaskell was apparently influenced by Helen when she came to write her last novel, Wives & Daughters, & there are some similarities in the plot. Cecilia's loose notions of truth are at the core of the novel. She is an incredibly selfish young woman who would be content to let Helen's happiness & reputation be ruined (although she cries & pleads quite beautifully) rather than tell the truth to her husband & risk losing his love. Although I found Helen's acquiescence infuriating, I could also see how subtly Edgeworth had structured the plot. From the first step of Helen's just accepting the packet of letters from the General (who, of course, had been too much of a gentleman to do more than look at the opening sentence & ask his wife whose writing it was. Cowardly Cecilia hints that it's Helen's rather than her own very similar hand) to the secret of the letters gradually becoming more widely known to the eventual threat of publication, each step is carefully judged. Helen agonizes over her friend's honesty & selfishness but never actually refuses anything Cecilia asks of her. Cecilia is full of good intentions but continually puts off the crucial confession as the lies & evasions become more complicated. There are some wonderful supporting characters in the novel. I didn't think much of our hero, Granville. He acts in quite a profligate way with his money, although he's beholden to the General until he comes of age. His schemes to restore a friend to his family home & then to spend an incredible amount of money on a whim to provide a day's hawking for a house party are not good portents of a sensible man or a solvent future husband for Helen. Horace Churchill is a waspish, witty man who seems to spend his life going from one country house party to the next. He became interested in Helen but his ill-nature didn't recommend him to her & her decided refusal made him into a dangerous enemy. Cecilia's cousins, Louisa Castlefort & Katrine Hawksley, are also enemies of Helen. Katrine because she fancied Granville & Louisa because she hoped to rid herself of her sister by encouraging Cecilia to offer her a home. Both are jealous of Helen & delighted when the scandal of the letters seems about to ruin her life. Lady Bearcroft is a vulgar nouveau riche social climber who loves talking loudly & indiscreetly but often skewers the pretensions of others. At least she has a kind heart. Helen was Maria Edgeworth's final novel, published in 1834. Edgeworth was probably at the height of her fame in the early 1800s when she was one of the first writers of regional novels. Her Irish novels, including The Absentee, influenced Sir Walter Scott when he came to write his Scottish novels. Jane Austen was a fan. Edgeworth wrote to her publisher, "I have been reproached for making my moral in some stories too prominent. I am sensible of the inconvenience of this both to reader and writer & have taken much pains to avoid it in Helen." 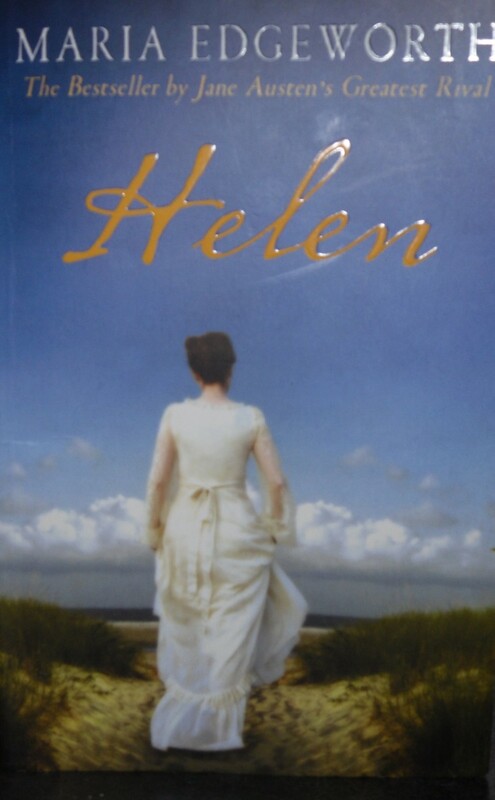 I haven't read enough of her work to judge but I found Helen a novel with morality at its core. From the intensely correct characters like the General & Helen to the more morally slipshod like Cecilia & Horace Churchill, moral issues drive the plot. The danger of taking one false step is emphasized again & again. The themes anticipate the Victorian novels of Gaskell & Trollope. The drama of the second half of the book is involving & Helen is a very readable novel. I'd recommend it to anyone who enjoys the Victorians. 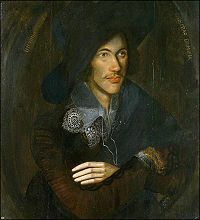 More John Donne this week. Many of his poems describe the lovers as like a king & queen, rulers of everything & everyone. The Anniversary is one of these, set on the first anniversary of a love affair or marriage. Looking back to the day they first met & looking forward to the many years they hope to be together. O Douglas wrote about what she knew. Eliza for Common is one of the best examples of this because the Laidlaw family, living in Glasgow just after WWI, is very close to the Buchan family.The Laidlaws are a family of the Manse, not rich but happy together & sure of their place in local society. As the book begins, Jim, the eldest son, is anxiously waiting to hear whether he has won a scholarship to Oxford. Eliza, the only daughter, is very close to Jim & is just as anxious as he is about his chances. The two younger boys, Geordie & Rob, are still at school & always in mischief. Eliza feels stifled by her life, restricted to helping her mother with housework & paying calls.She's at an age where she thinks she'll miss out on life if she doesn't grab it right now. She's rather be called Lisa as she thinks Eliza a dreary name, but only Jim tries to remember. Jim wins his scholarship & goes up to Oxford. He's always been a writer & soon begins to have his stories placed in magazines which helps him pay his way at college. He plans to write a play, which upsets his parents as they don't approve of the theatre. When he comes home after his first term with an Oxford accent, Rob & Geordie think it's hilarious but Jim hasn't changed in essentials. He's determined that Eliza won't be left behind even though there's never any suggestion of a university education for her. 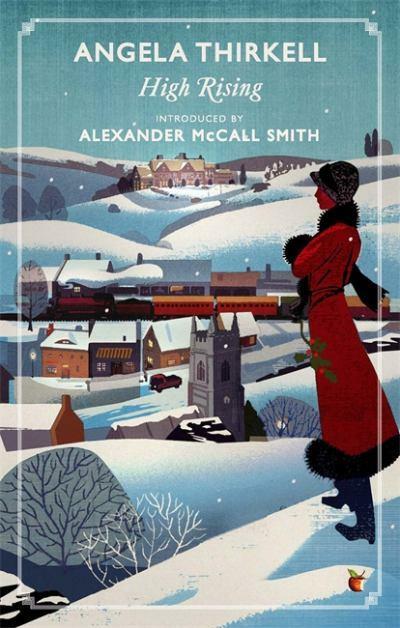 Jim organizes trips to Oxford & London for Eliza & their mother & memorably takes Eliza on holiday to Switzerland. Eliza for Common is a very domestic novel. The dramas of the story are domestic ones. Mrs Laidlaw, always an indefatigable worker, falls ill with a nervous complaint & completely gives way. The neighbours are kind & intelligent like Mrs Learmond or irritating & silly like Mr & Mrs Stit. Mrs Service, a minister's widow, who visits the Laidlaws every Friday & is part of the family. Jim's friends from Oxford, Ewan Cameron & Gerald Meade, visit the family at the farmhouse where they spend their summers, glorious summers of freedom & no responsibility. As always, the characterization is excellent. O Douglas depicts her characters so economically but just a few touches can describe a whole life. Mrs Service movingly describes her joy at being able to marry at last when she & her husband were both in their 40s after she'd spent years looking after her parents. They only had 12 years together but, for Mrs Service, that was enough to be grateful for. Mrs Stit's main pleasure in life is boasting that her three daughters have all married ministers so she has three Manses to visit. Eliza isn't a model daughter. She's prickly & resentful when she'd rather be reading than helping her mother turn out a chest of drawers but she gladly takes on the running of the household when her mother is ill. Although as she says to Jimmie, "Who else is there? ", which is true enough. The family relationships are also realistic rather than sentimental. Eliza's fury at her brothers' calling her Elijah & her fury at having to hold her tongue as an elderly uncle talks nonsense, are very true to life. I enjoyed the picture of family life after the War. It didn't feel as though the book was set in a big city, it could have been in a village. The Manse & its social circle encompassed everything except when Eliza managed to escape & experience life beyond the Manse. I enjoyed meeting the Laidlaws very much. As always, O Douglas's small boys are delightful & very funny. Mr Laidlaw is kind & unambitious which infuriates his wife even though she has long ago given up hopes of seeing her husband as Moderator & herself walking into Church in a velvet coat. Eliza for Common is a gentle book about an engaging family. Greyladies have just published another of O Douglas's novels, The Day of Small Things, & I'm looking forward to read it as it's a sequel to The Proper Place which I read a couple of years ago.